• PLOT SUMMARY: "The Anti-Mask" - The Living Laser is finally free -- and Iron Man has suffered a loss that rocks him to his core! 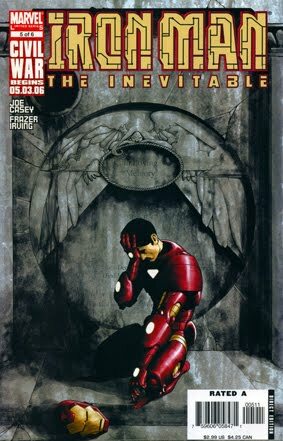 Tony Stark's double-life as corporate CEO and Armored Avenger has enacted a terrible price, leaving him vulnerable to the Spymaster's ultimate plans for revenge! You don't dare miss the penultimate chapter of this action-packed limited series that marks the return to sinister glory of Iron Man's classic villains! Cover art by Frazer Irving.